15 Jan 2019: Escape Room SaaS software company Buzzshot (www.buzzshot.co) is forecasting a sharp rise in the popularity of Escape Rooms in 2019, fuelled by the emerging trend of ‘IP approved’ immersive experiences. Buzzshot founder Tom Parslow believes the officially supported ‘Sherlock: The Game is Now’ and ‘Doctor Who’ Escape Rooms - both launching in the UK in early 2019 - will bring brand-approved immersive experiences further into the mainstream, opening up the industry for wider investment and providing fertile ground for entrepreneurs. Buzzshot’s administration system was the software of choice for ‘Sherlock: The Game is Now’ and Parslow - whose business reported a 400% growth in 2018 - is enthusiastic about the effects a run of officially branded Escape Rooms will bring to service providers in a leisure industry already on the rise*. 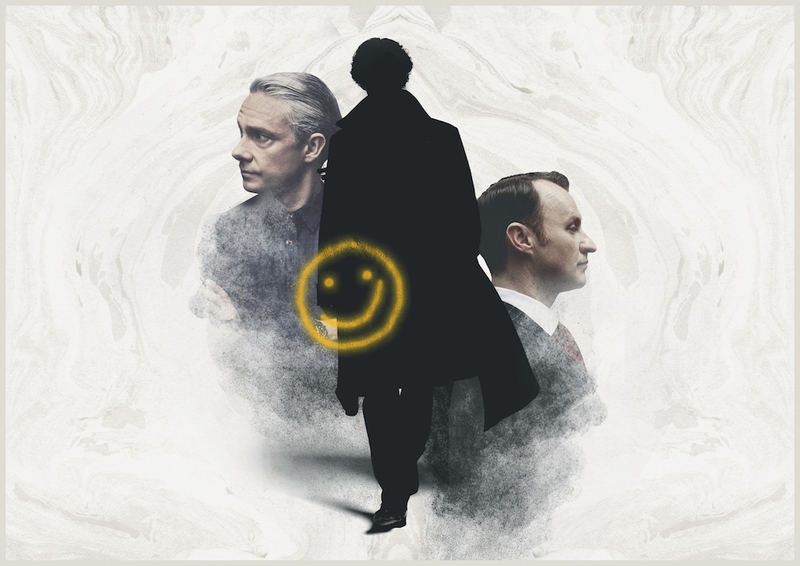 Officially launching at the end of January 2019, the 100-minute game sees teams of four to six participants invited to play detective in a fully immersive, brand new case that features original content from the stars of the show including Benedict Cumberbatch, Mark Gatiss and Martin Freeman. Since its inception in 2007, both economic and cultural factors have attributed to the continued growth of the Escape Room industry and Parslow believes the further emergence of IP approved experiences will strengthen entrepreneurial opportunities across the board, as long as a considered approach is taken. Parslow believes the real opportunities for entrepreneurs’ rest within the peripheral services. He said: “Of course, there’ll be a continuing need for the grassroots services like prop design, electronics, printing and SaaS like ours. Plus, aggregator booking sites will continue to do well from affiliate income as the number of rooms increase. We’re starting to see business consultants and insurance professionals taking an interest in the space and this will naturally grow as the industry formalises. While the opportunities exist, Parslow is quick to point out that for service provision companies like his, success will come to those agile enough to respond to the ever-growing technical ambitions of game makers. Widely regarded as the world’s most sophisticated Escape Room developers, industry favourites Time Run handpicked Buzzshot to deliver key aspects of the ‘Sherlock: The Game is Now’ in-world experience due to its ability to accelerate its service to meet Time Run’s unprecedented specifications. Time Run game designer Nick Moran said: “We needed software that could easily slot into the in-world experience we’ve spent two years developing with the creators of the show; that had a sophisticated back-end that could ensure the consistently exceptional experience participants have come to expect from Time Run. It was quite a challenge and Buzzshot was the obvious choice due to their flexible approach to working with us." Parslow predicts the market will reach maturity in 2019, largely driven by the emergence of Escape Room franchises in 2019 and an increased focus on health and safety following recent fatalities in Poland, taking the industry from a relatively self-defining community of enthusiasts to a more regulated and competitive arena. While this will see a naturally increased focus on intellectual property law and shareholder return on investment, how the cash injections from franchises will affect the individual operator remains to be seen. *The number of Escape Rooms in the UK increased by 147% on average YOY between 2013 and 2017 (Source: The Logic Escapes Me Market Analysis 2018). Buzzshot is an Escape Room SaaS company based in Brighton, UK and was founded by Tom Parslow in 2016. Buzzshot’s innovative solution covers everything from player check in and waivers, custom hardware for in-game photography to post game follow up and community outreach, all within a consistent ‘in world’ experience. This press release was distributed by ResponseSource Press Release Wire on behalf of Rowdy Bird Media in the following categories: Leisure & Hobbies, Consumer Technology, Business & Finance, for more information visit https://pressreleasewire.responsesource.com/about.